The Family Engagement Self Evaluation Tool is also a great hands-on resource for assessing all areas of your Family Engagement programs. This tool can be used to measure the Family Engagement levels of an institution. 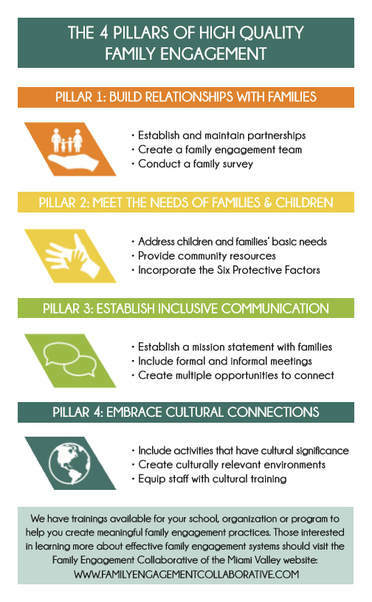 The Self- Evaluation can also be used to shed light on what needs to be improved family engagement system, as well as prioritize specific principles and strategies of family engagement. The Family Engagement Self-Evaluation also includes and action plan to help set these improvements in motion. This tool can be used in any program where family engagement is present. It can also be a stepping stone to instituting a family engagement system in an organization.